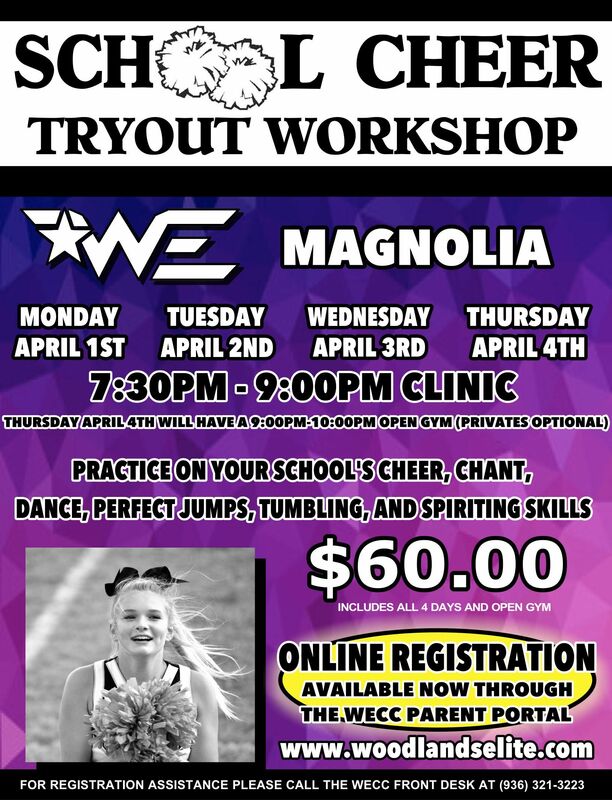 WECC offers a School Tryout clinic to help prepare your athlete for the BEST possible outcome during Middle School and High School cheerleading tryouts. Join us at our facility after the clinic held at your school to practice and review the required material! Coaches will help your athlete review the cheer, chant, and dance they will need to perform. Our staff will also assist with voice projection, entrances, spiriting, jump technique, and overall confidence! Our coaches have a detailed list of school tryout criteria and want to help your future cheerleader feel prepared and ready when they enter the tryout room! Woodlands Elite will train your squad in our state of the art facility. 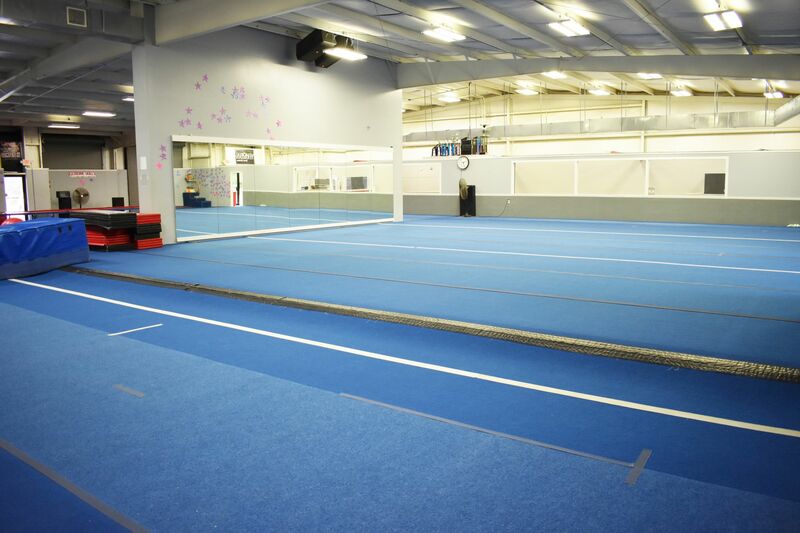 Our facilities boast spring floors, dead floors, mats, trampolines, pits, and rod floors. 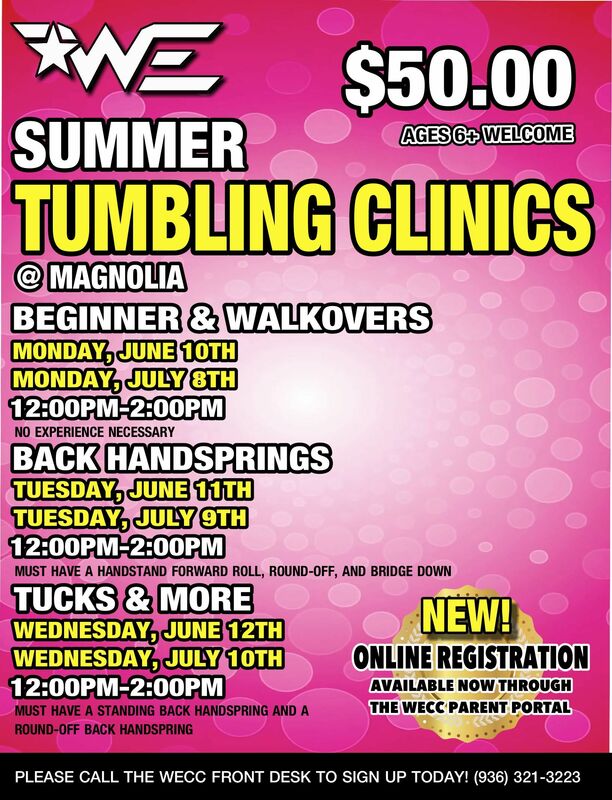 Your athletes will receive the best tumbling instruction in the state! All instructors are USASF, AACCA, and CPR/First Aid certified. Whether your team is brand new to tumbling or a defending national champion, WE will put together the perfect 1.5 hour clinic customized just for your school. Contact schools@woodlandselite.com for pricing. Woodlands Elite will train your squad in our state of the art facility or bring our certified veteran staff to your school. Either way your athletes will receive the best stunt/building instruction in the state! All instructors are USASF, AACCA, and CPR/First Aid certified. Whether your team is brand new to stunting or a defending national champion, WE will put together the perfect 1.5 hour clinic customized just for your school. Contact schools@woodlandselite.com for pricing.